The most successful edits transport your viewer into a scene or a story, they are not noticeable or overly flashy. If you are new to editing, simple edits and quick cuts are best. 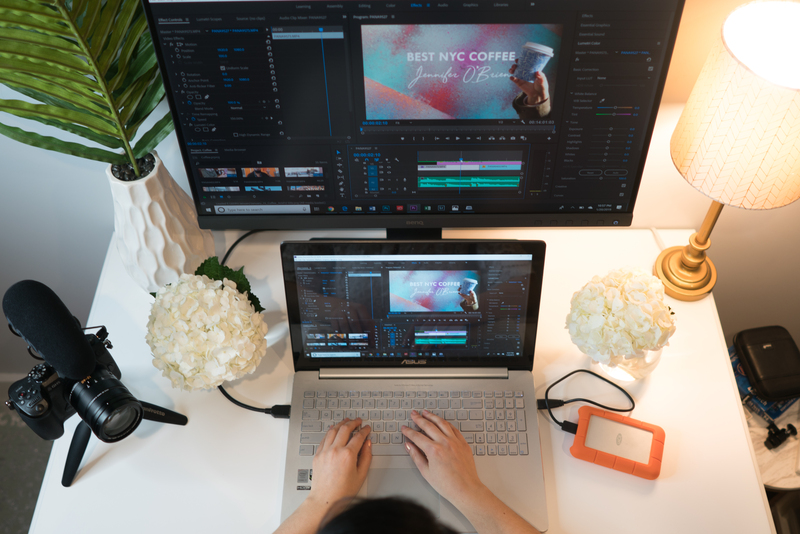 The biggest video editing mistake beginner editors make is overediting, which can draw attention to the edits and pull your audience out of the story. Editing takes practice, so the best way to learn is by doing. It took me a year and editing over 100 videos to feel confident in my skills. First, I need to say a few words about organizing your footage because this has been the biggest time-saver in my editing process. 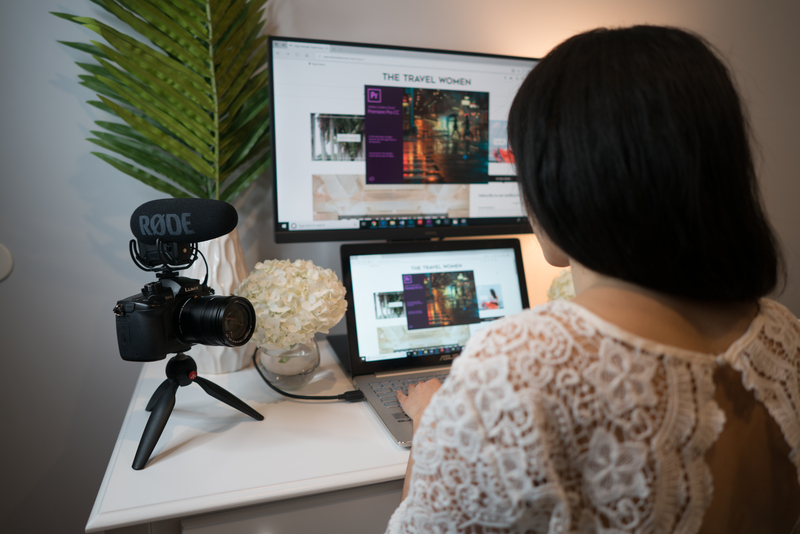 You must of course back up your footage in multiple places, but in addition to that you should have a system that makes it easy to find the footage you’re looking to edit later. Each year I make a recap video summarizing everything I shot that year into a few minutes. A year later when I want to find footage from a specific trip or date or location, my file naming system makes a huge difference. On my external hard drive I create a folder for every year, for example “2019” and then a folder for every month by number, for example “1 January” for January, “2 February” for February, and so on. Then, each day or collection of days is captured in the video name along with key words, for example “January_1_3_Washington_DC_arboredum_bonsai_tacos.” This way I can search a friend’s name or keyword and find the exact folder. You will learn that finding footage can take a long time without a labeling system. Depending on what you shoot, you can further divide a folder into a subfolder for each camera, for drone shots, or to separate photos and videos. Labeling footage both chronologically and with tags that you will remember, such as the location, a friend you were shooting with, and what you shot, goes a long way. Now that you have the footage packaged and ready, let’s start editing, but not overediting. 1. 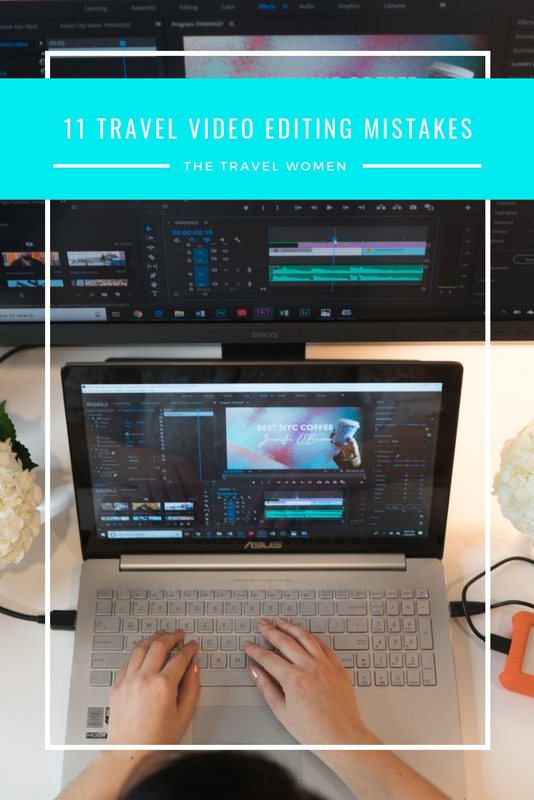 Too many transitions: Beginner travel videos are often edited in free software that comes packed with cheesy transitions that look like an old version of PowerPoint. Unless you are in a library shooting a book, there is no reason to use the “page turn” transition. Beginners should avoid dramatic transitions as quick cuts can make up for inexperienced editing. 2. Fades: Too many amateur editors transition between scenes by using long fades in and out. I prefer quick cuts between clips and usually use fades only at the start and end of a video. There are a few times when a fade works in between clips, for example when you’re trying to evoke a memory or flashback. Over-using fades, especially long fades, can be a sign of an inexperienced editor. 3. Zoom Transitions used incorrectly: Do not use the zoom transition between two scenes that you wouldn’t normally zoom into. It makes sense if you go from a zoomed-out landscape shot or drone shot into a specific place seen in the center of that shot. It does not make sense when it is used to zoom between your face or a macro shot into a larger landscape. This can be great for establishing shots but should not be overdone. Zoom transitions should pretend to be an in-camera effect that are subtle and not flashy. 4. Music Volume: Many travel videos have a subject or host that you cannot clearly hear talking because the music is too loud. Beginner editors often get excited about music choice and are worried people won’t hear it. When someone is speaking it is important to lower the music volume so that it doesn’t overpower the scene and prevent your audience from hearing more important speaking or audio parts. 5. Editing to the Music: When a song has a very distinct beat and your footage does not correlate to the beat, it can feel jarring to the audience. If music is a dominant part of the video and there is no talking or voiceover, try to edit to the beat whenever you can and move at the pace of the music. If there is a dramatic base drop or crescendo make sure your footage matches the tone. 6. Color: Be aware of changes in light that might make the same subject appear to be different colors, especially if it is shot without being properly white-balanced. Overediting or color grading too much orange and blue can be very noticeable. A great way to color grade entire chunks of video at the same time is to add a LUT or Look up table, which is similar to a Lightroom photo preset. If you use a LUT on top of footage keep it at a low 25% opacity to avoid orange skin and unrealistically blue skies. 7. Time-lapse and Slow Motion: There is a rule to editing slow motion that beginner editors often do not know. For example, for video recorded at 60 fps you can only change the speed to 40% slower (command r). Additionally time-lapses work best with videos that are five minutes or longer, and that have a lot of movement, such as people walking or boats sailing. 8. Sensitive information: I need to say this because I’ve seen many YouTubers share too much personal information, such as the exact hotel room they’re staying in at the beginning of a long trip or opening mail with the address clearly visible. Think ahead when shooting and if you accidentally include personal information or an address in a shot, don’t forget to blur it out in editing. 9. Jump cuts: In editing we might cut out a section of a larger clip without realizing the subject or background jumps into a new position. Watch for continuity and have a second pair of eyes watch your video. If you must make a jump cut like this insert a cutaway of another angle or B-roll that can distract the audience from seeing the change caused by the jump cut. 10. Text: If you know nothing about fonts go with a simple san serif font like Calibri or Helvetica. In addition to picking the right fonts, you need to be cautious about text placement. For example, white text on yellow or light backgrounds can be hard to read. If I am shooting something that I know will have a lot of text on top, I purposefully include a dark area on the top or bottom so that I can overlay white text onto it. 11. Ending: Often editors start at the beginning and if you are on a deadline or tired by the time you get to the end, often the end drops off or doesn’t have a proper closing. This is even more noticeable if music ends abruptly in the middle of a song. To avoid this, I will add the end of a song to the end of a video and edit during a less noticeable place in the song, such as in the middle. Avoid bad endings by editing the beginning first, the end second, and then the middle or by preparing a YouTube end screen which can say subscribe and have a spot for two videos. 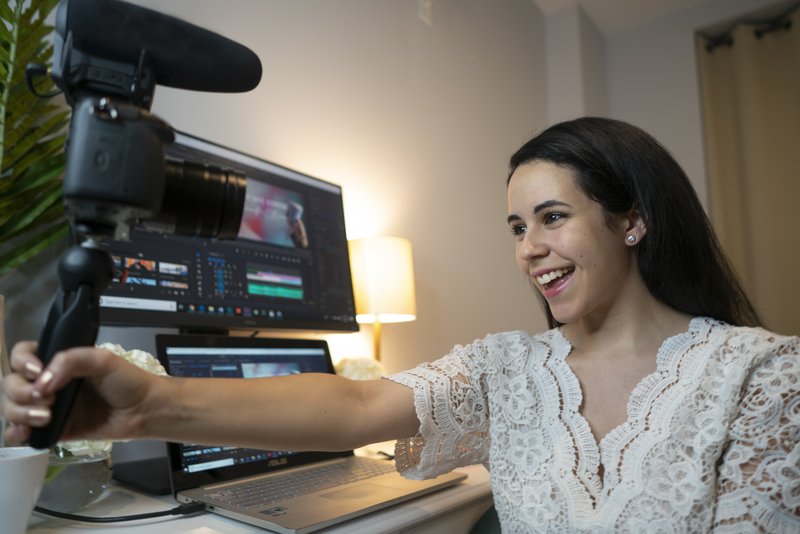 You’re now a few steps closer to editing like a pro, but keep in mind the most successful editors shoot video with editing in mind, so read my top 11 video shooting mistakes now. Which video mistakes surprised you most? Comment below! The Travel Women is a community for women by women to empower women to travel outside Their comfort zone. Read more about The Travel Women.